The Symmes Rd. center is family owned and operated. Owners, sisters, and Moms, Maryann Di Leo and Peggy Ballweg, dreamed of opening their own child care center and have approached this endeavor from a parent’s perspective. Maryann and Peggy have graduate degrees, but left the corporate world for their own business. Maryann is an undergraduate of the University of Cincinnati with a Bachelor of Science in Health and Hospital Administration and a Master Degree in Hospital Administration from Xaiver University. She has been happily married to Daniel for 16 years and has two children; Joshua age 12 and Kayla age 9. Maryann is active in the PTA and enjoys watching her children play baseball, soccer and horsebacking riding. Peggy is an undergraduate of the University of Cincinnati with a Bachelor of Science in Business Administration and a Master Business Administration and Juris Doctor from the University of Kentucky. She has been married for 12 years and has three children; Chase 8, Cassidy 6, and Calleigh 4. 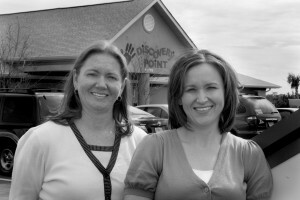 Maryann and Peggy are the owners of the Discovery Point Summerfield located at 13011 Summerfield Crossing Blvd. 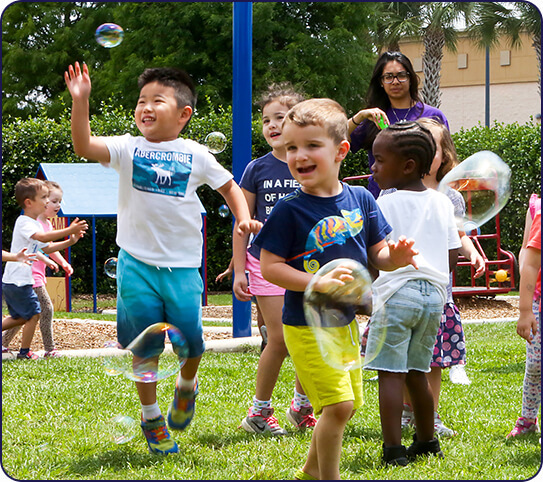 The Summerfield center can be reached at 813-671-0900 or by e-mail at dp70@discoverypoint.com.